Smart Charter Ibiza gives you the freedom to go wherever you want. Our staff can also help you to design the perfect day out. 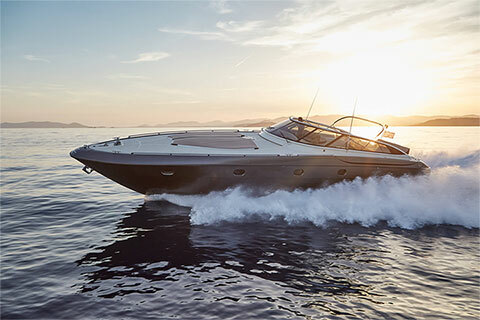 There is really something for everyone from pure privacy, to water sports, to celebrity spotting, talk to our staff about organising your own bespoke Ibiza boat trip. Here are a few classic Ibiza boat trips to whet your appetite. Smart Charter Ibiza can organise anything from a picnic lunch to a three-course meal. 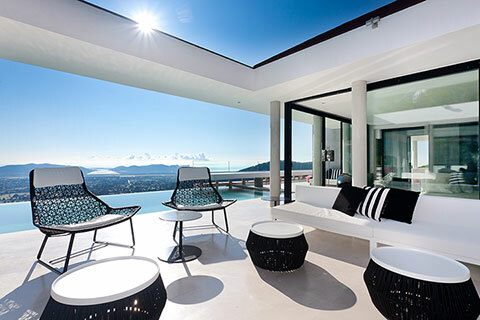 We will also make advanced bookings at Ibiza and Formentera’s best restaurants. Talk to us about all your catering needs. Setting off at the very reasonable time of 11.30am from Ibiza’s port this classic Ibiza boat trip stops along the way at the island paradise of Es Palmador, separated from Formentera by a few hundred meters of shallow underwater sand bank. Drop anchor meters from the sand bar and jump into the crystal clear water. Swim to the beach, enjoy some water toys or just lay back and work on your tan. When you’re ready your skipper will head off to Ses Illetes beach on Formentera for lunch at one of the legendary restaurants. Whether you choose Juan y Andrea or Beso Beach, you can’t go wrong. Each send out a dinghy service to pick you up from the boat and bring you back. After lunch cruise around Formentera stopping wherever the water invites you to jump in. A cocktail at Beso Beach or a glass of champagne at Cap d’es Falco to witness the incredible sunset before heading home is the perfect way to end the day. Bliss. Local folklore says that the rocky outcrop of Es Vedra is the most magnetic spot in the world making it a place of pilgrimage and mystery. It may be mermaids, fertility goddesses or cosmic Phoenician dance parties – there is no doubt this spot is magical. No Ibiza boat trip is quite complete without viewing this impressive natural habitat from the water. This pure white sand beach stretching along turquoise waters is dotted with exceptional seafood restaurants. The protected posidonia meadow makes for incredible snorkelling and a spin on a kayak or pedalo is super fun. The north end is a designated nudist area if you’re keen to work on your all-over tan. The beauty of this beach and the restaurants attract a slew of top notch boats so don’t be surprised if you end up sharing the water with a few well-known faces. A definite spot for people watching. 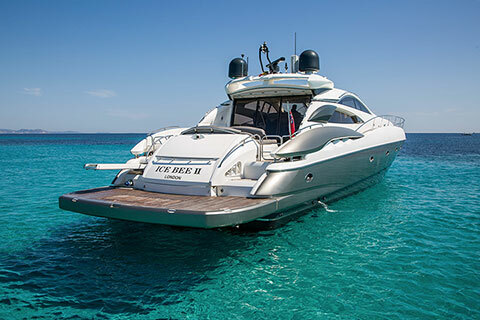 You can also leave your Ibiza boat trip entirely up to your skipper. 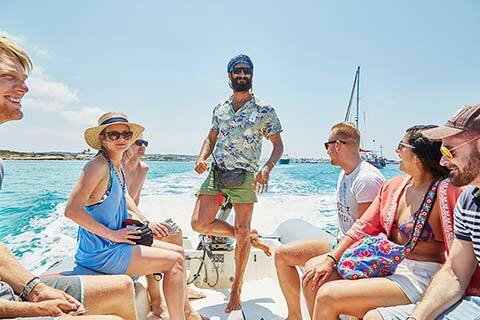 All of our crew have an intimate knowledge of both Ibiza and Formentera. Sit back, grab a drink and let your skipper take you on a mystery tour of all of his favourite secret spots.